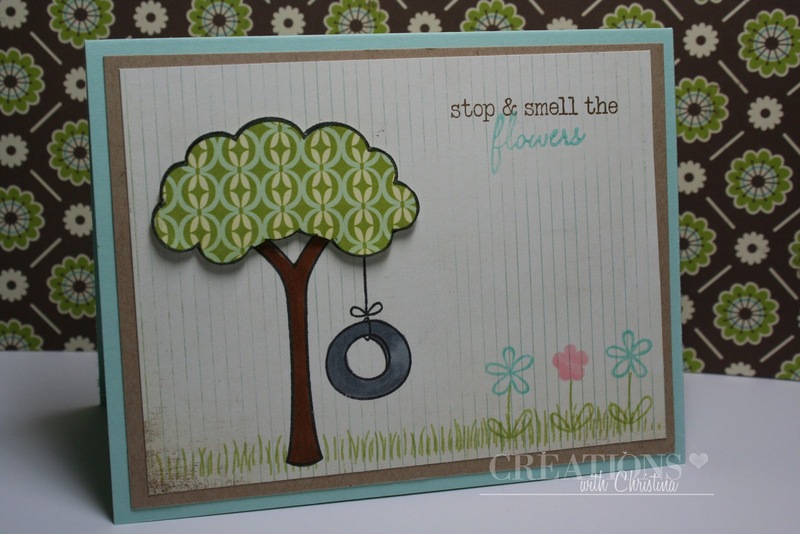 Doesn't this card remind you of cooler spring days? Lovin' Lawn Fawn. Christina this made me think of the tire swing my brothers and I had as a kid thanks for bring back such wonderful memories! So pretty! It's like... art! Love! And yes...it's so hot. But that means a perfect day to sneek down to my crafty basement nook which is nice and cool. Thanks for the inspiration! Oh Christina I just LOVE this card!!! It bring back a ton of memories for me!!! Adorable yet simple card! TFS. The tree with tire swing brings back nice memories of days gone by. Like your card. Very pretty! I'm so glad that I came across your blog! Gorgeous card. I love it. Lots of great detail.